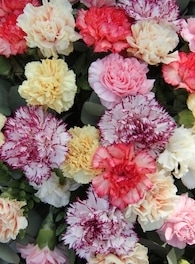 Carnations are classic, hardy, and affordable flowers, that have been gaining popularity over the last few years and are having a really strong come back (if they ever left at all! 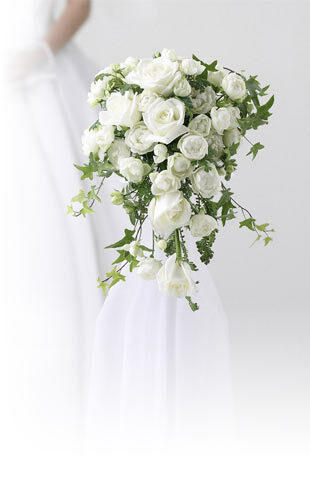 ), especially for weddings. 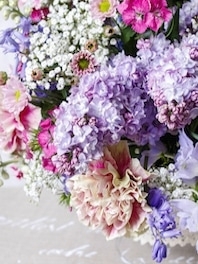 This is because they are budget-friendly flowers, and their multi-layered, ruffled ball shape, creates the same lush and romantic look as other much more expensibe blooms (like peonies or garden roses). 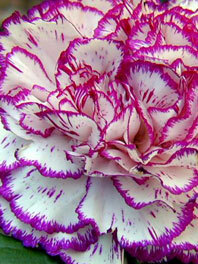 Carnations have a very long vase life, actually, when put in a vase with other flowers, they are almost always the last ones to fade! They can last up to 3 weeks with proper care. 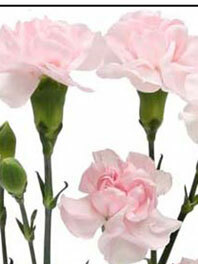 Carnation Flowers combine well with just about every bloom, and their versatility allows you to create many different looks with them, adding volume and a touch of soft romance to any floral arrangement or centerpiece. Available in multiple colors, from red, purple, yellow, orange and green, to white or pink, you can also choose between regular size or mini. We also offer bicolor options! Their sweet fragrance and simple beauty, makes these flowers a great gift for any occasion, such as birthday parties, graduations, mother's day, or an anniversary date. They also decorate beautifully in a vase at your home, and as we mentioned, they last a really, really long time. At Flower Explosion we always make sure that you receive the best quality flowers, and send them direct from the farm to your door! 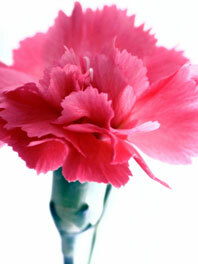 Order your carnations in bulk today and enjoy FREE shipping.